MarketSaw - 3D Movies, Gaming and Technology: ESPN Commits To S3DHD Broadcast Of The 2011 NBA FInals!! ESPN Commits To S3DHD Broadcast Of The 2011 NBA FInals!! I am a bit biased: I love 3D. I love basketball (I am 6'6" after all). Put the two together and I am suitably enjoying myself! 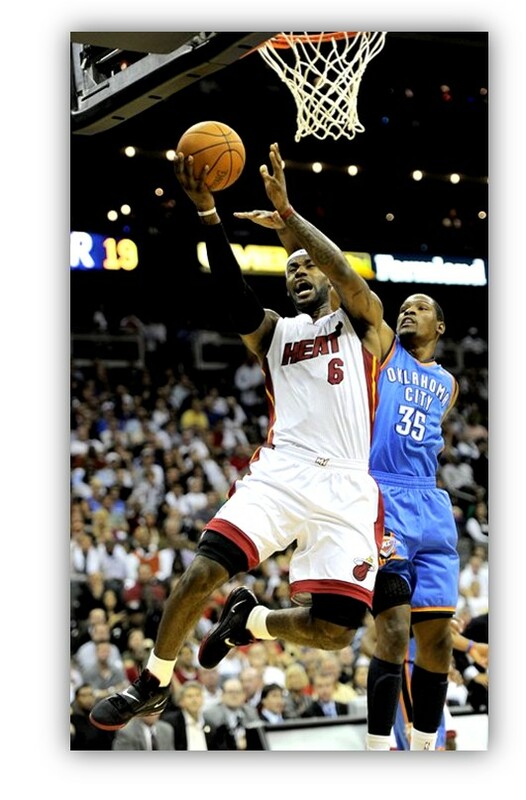 ESPN 3D has announced that they will be covering the 2011 NBA Finals in stereoscopic 3D! ESPN 3D, in its first year of distribution, will expand its NBA offerings to include The Finals – the pinnacle of the NBA season – this June, marking the first time the championship-crowning event will be presented in 3D. ESPN 3D televised the first NBA game in 3D when the Miami Heat visited the New York Knicks on December 17, 2010. Since December, ESPN 3D has shown six NBA games in addition to other programming. Beginning Monday, Feb. 14, ESPN 3D began showing 3D content 24-hours a day. In its first year, ESPN 3D will telecast more than 100 live events. ESPN was the first to announce in the United States an exclusive 3D network in January 2010 which was the culmination of more than three years of testing 3D television. ESPN produced many 3D domestic telecasts in 2010, including: college football and basketball, the State Farm Home Run Derby, the Masters, the Harlem Globetrotters and NBA games. ESPN 3D first produced the USC vs. Ohio State college football game in September 2009 which became the starting point for the network. ESPN has developed best practices for utilizing and producing 3D technology in live game applications. In addition, ESPN utilizes cutting-edge technology located at the ESPN Innovation Lab in Orlando at the ESPN Wide World of Sports complex at Walt Disney World to continue to develop innovative production enhancements. ESPN 3D is available in the United States to approximately 62.5 million households and has carriage agreements with AT&T U-Verse, Comcast, DIRECTV and Time Warner Cable. It will launch in 2011 on Verizon FiOS TV. Sony was named the first official sponsor of the network in January 2010.